Stover & Crouch Insurance Agency has all of the auto markets you have heard of. We shop these companies to find you the very best rates. Be represented by an agent that has your interest at heart. Whether you live in Madisonville, Bryan, College Station, Centerville, Huntsville, Normangee, or any town in between. We can help. We actually service the entire state of Texas! For more information or to obtain a quote please call us at (936)348-2688. For now though, here are some helpful tips on auto insurance. Be a savvy shopper! Younger drivers have less experience driving and therefore have more accidents. Younger drivers are also more likely to text and drive. All of these factors mean more risk for the insurance companies which in turn means higher insurance rates. Young male drivers will start to see relief at the age of 25. For females, that age is 21. Lucky girls! In general, I have not found that being old age does not result in higher rates. Older drivers typically are safe drivers. Having no accidents will keep your rates low so be safe. Now days when you register your vehicle, they record the mileage into a database. This database can be accessed through reports that insurance companies run. The lower the miles you put on a vehicle, the lower your rate can be. As a matter of fact, several companies are now offering low mileage discounts. Typically these discounts apply for drivers that put less than 8500 miles per year on a vehicle. That’s not many miles. Believe it or not though, there are folks that don’t drive that much. These people reap the rewards! Where you live will determine what your insurance rates are. It only makes sense. If you live in the city of Houston, you are much more likely to be involved in an accident then if you lived in a small town such as Huntsville. Typically, the bigger the city, the higher the rates. Yep, these insurance companies want to know how responsible you are. Looking at your credit is a great way to find out. Being responsible about your credit also means your more responsible about other things like driving. Keep your credit clean and enjoy lower rates on your credit cards and your insurance! This one is obvious. Those reports the insurance companies pull will most certainly tell them how safe of a driver you are. If your record reports an accident, you will most certainly receive a higher rate. If there are multiple accidents, your rates could as much as triple. Be a smart driver and a smart insured. Always contact your agent prior to filing a claim. Make sure it makes sense. Filing multiple tow claims will do as much harm as well. Be super careful. Also, those free windshield repairs they claim are free are not free. Losing a no claims discount will cost more than the windshield. Always contact us prior to filing a claim. We want to advise you and point you in the right direction. This one is also obvious. The reports the insurance companies pull also tell them how many moving violations you have. The more you have, the more your rate will be. Be a smart driver and follow the laws. 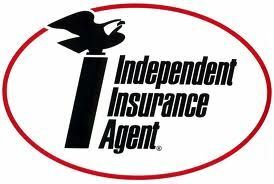 This will save you money on your insurance. 1. Safe driver discount – this offers up to a 10% discount for safe drivers. How do we know if you are a safe driver? We look at the reports. If there are no moving violations or accidents reported in the past 5 years, chances are you have a discount. 4. Device installation – discounts provided to insured’s that elect to install a device in their vehicle. Yep. The insurance company will track your driving habits on an average of 3 months. If you are someone that breaks hard, speeds, etc., then this is probably not a good fit for you. If you think you are a safe driver though, this discount adds up big. Savings of as much as 30% have been seen! 6. Good student discounts – good grades equal good rates! A & B students can find relief with good grades. To make it work though, you have to provide proof of grades in the form of a transcript or report card. 7. Multi-policy discount – home and auto combined can save as much as %20. If you own a home, make your you let us know. 30/60/25. That means $30,000 in liability could be paid out per accident, and a maximum of $60,000 per year will be paid out by the insurance company. The 3rd and last number (25) is the property damage limit. If you hit someone or something and damage property, the maximum the company will pay out is $25,000. There you have it. These are minimum limits of liability required by law in the State of Texas. An upgrade to your auto coverage would be to add comprehensive. This coverage applies when your car is damaged by certain perils such as a bird or deer hitting your car and causing physical damage. Other perils include falling objects, hail, fire, flood, wind, falling trees, etc. This coverage will always require a deductible ranging from $100 to $2500. The higher the deductible, the lower the rate. Collision will provide coverage for damages to your car as the result of…guess what? Yep, collision! Examples of this include a shopping cart hitting your car in the parking lot, a baseball flying over the homerun fence and denting your car, and collisions with other cars as well. PIP provided coverage in the event of an accident that you are injured in. Offered in limits of up to $10,000, if PIP is selected, the insurance company will provide you with a payment to help you continue paying your bills such as a car note, health insurance, etc. This coverage will pay up to the desired limits selected for medical expenses. We very rarely see limits above $5,000 selected. If you have good health insurance, this coverage could probably be avoided. Provides towing coverage of a disabled vehicle. Towing limits are selected at the time of purchase. Remember, towing claims count as claims. If you don’t want to lose a claims free discount, make sure you talk with one of us to make sure it makes sense. Pays a certain predetermined daily amount towards the cost of rental vehicle. So there you go! That’s auto insurance in a nutshell. Take the above helpful savings tips and use them. Let us at Stover & Crouch Insurance Agency help you decide what coverage you need. What limits of liability fit your life. We look forward to getting to know you! Call for a quote today.